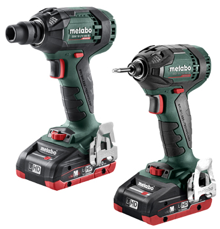 Milwaukee Releases the Amazing Mid Torque Impact wrench! Milwaukee tools and tool fans were excited to start 2017 with the announcement of a new addition to the M18 FUEL line — Mid-Torque Impact Wrenches! 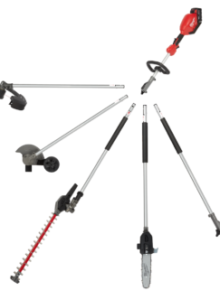 With plenty of power to tackle a wide array of heavy fastening applications, the Mid-Torque is up to 4” shorter and weighs 2 lbs less than competitive tools in the High Torque class, allowing more access into tight spaces and reducing user fatigue.
? ?Similar in size and weight to compact impact wrenches. New models include M18 FUEL Mid-Torque Impact Wrench with 1/2″ Pin Detent and M18 FUEL Mid-Torque Impact Wrench with 1/2″ Friction Ring. I feel that this is an outstanding impact wrench. It is barely larger than than the compact but has more than 2x the power. It has quickly become my most used and favorite impact wrench. It is so much more manageable for most tasks I run in to. For changing tires or brakes on cars and trucks it is perfect. For running lag screws in decks it performs just as well as the large High torque impact wrench. I know I will find many more uses for it as I get to know it better. The size and balance make it so much more versatile. Where I used to have to break out my Ingersoll -Rand titanium pneumatic, I can now use this compact beast. I used to try to use my compact in these spots but it just didn’t have enough power. All in all this is a home run for Milwaukee and a first in the industry. I feel it will be a popular seller. I am pleased to be able to give one away here! hehe 😀 I need this for my next dunes trip! Hi. Just wanted to share with you the best of Europes festivals over the past few months. I have visited most of these in the past year and I can assure you that they are brilliant. Find time to enjoy life and attend some of these this year. Looking forward to some more interesting posts on the Marina de Bolnuevo blog (www.marinedebolnuevo.co.uk). Have a great day. genuinely gоod fnny data toօ. I’m relatively sure I’ll be informed many new stuff proper right here! to have a look at new stuff you post. I was waiting for this kind of issue. Thank you very much for the place. Because who doesn’t need more tools? I know I do! I need this impact to help me work smarter not harder…And take on some of the load off my small fuel impact. This would be essential when working on cars on site!! IG ital481 would be helpful with fixing my work van and car. This would be perfect for working on my orchard tractor implements. I need this to work on my car.. compressor is too loud and to slow. Love to have this drill for the coming season. I build custom outdoor furniture in my home city. I neeed this mid sized impact for the bazzilions of 5/8″ truss bolts I deal with in the movie rigging world. This would literally change my life( and my knuckles). @Beam52 I NEED this for our family farm! This would be amazing to have to help us work on everything!!!!!!! Just a young man trying to get a nice tool that’s not harbor freight!??? Man for me it’s about having the right tool for the job. Having just purchased a fixerupper, and having a baby within the same 9 month time span. I may have skimped a little on quality when purchasing my driver. I need this for automotive work on my pickup. Also for everything plumbing related ! I need this cuz my craftsman 1/2″ impact took a dump on me a couple days ago!? I am at the beginning stages of starting my business. I have been in this business all my life but choose in my late 20s to join the army. 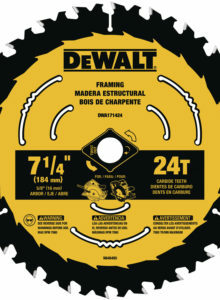 I usually by dewalt but have recently decided that the name on the tool does not matter but rather what if can do for the quality of my work for the customer. 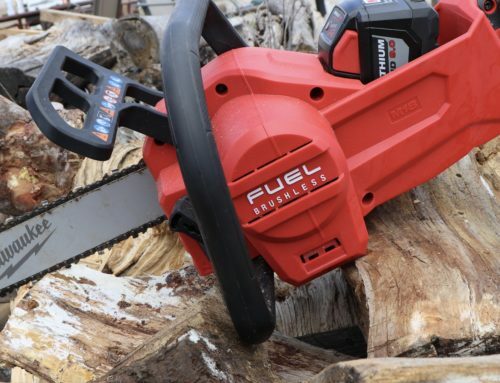 I would I’ve to make this my first Milwaukee tool in my truck and I would use it quite regularly building fence gates, running in lag screws for a multitude of uses and also anything else I can thing of on the jobsite. Thank you for the opportunity for this giveaway and all your awesome information. Need this to take my snow tires off! This would be perfect for all the spax fasteners that I drive! This would be a much needed replacement for my older 1/2 Milwaukee impact. The older 18volt. Being a Steamfitter by trade, it would be most helpful break flanges apart and replacing various valves and gaskets. Knocking these bolts loose with sizes going all the way up to 1-1/2″ and bigger. During shutdowns, every minute counts! Previous employment I had 3/4″ Fuel Impact! I loved it! Gotta save my dimes for that, But this would definitely fill my needs now! Oh man do I ever need this. My dewalt cordless impact and driver are on their last couple turns. ? I need this Milwaukee mid torque impact to make life easier while working on my lifted Jeep Jk, F350, my two motorcycles, around the farm on the tractor and fences, as well as the other million excuses I will find to use it!!!! I have been building my Milwaukee fuel collection, sadly impacts have not been added yet! I’ve been using an old tire iron and this mid torque impact would make the perfect addition to my Milwaukee collection to improve productivity! Thanks for the opportunity! I would really like to win this tool and I would use it everyday. I work in the car electronic entertainment industry and I remove car seats and seat belt bolts everyday. I do have a nice size millwaukee collection but I am missing this tool. I know it is expensive and I would greatly appreciate this tool and the huge convenience of not having to use the ratchet or pull out the air hose again. Thank you for the contest. Tool pig I need this beauty for work on the farm!! Congrats brotha. Thanks for another awesome giveaway! I need this to add to my Milwaukee collection. Just picked up saw with 9.0. This would match it perfectly. Seems like Milwaukee keeps on delivering! This would get put to great use on the job site! Two thumbs up! Perfect for the amount I work on my truck. No hoses running everywhere. I need this because I want to start running Milwaukee alongside my Dewalt stuff. Used to always use Milwaukee then converted. This would be a nice start….plus I’m planning on a rocket light. Old Milwaukee recently went “missing” on jobsite. As a contractors apprentice, it sure would help me out to win a free tool of this caliber on my budget. Thanks toolpig!! 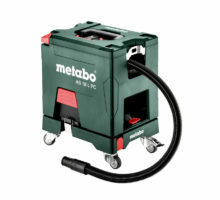 I sure could use this mid torque impact from Milwaukee to help my tire changing needs I don’t have one I’ve never owned one but I’ve been on the side of the road with a flat tire in the Jack in for this fat boy it was a struggle so it would be nice to have something to make that go a lot easier oooooo. and I travel a lot. this will help me on the job monday through friday 5-9 and i can take it off the truck in to the trailer for the track on the weekends. Would love to have this powerhouse.
? 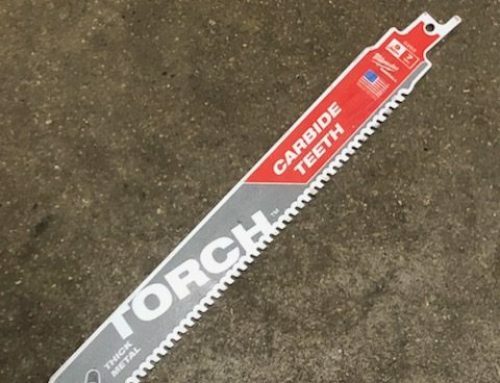 65k + IG- @mustangmatt91 need this for my deck replacement as well as an addition to the extensive milwaukee arsenal on my 14′ service truck. I dont know how to comment so I am posting a reply, but yeah i would need this for removing my tires every season, cheers !!! Love Milwaukee, as an RV Tech I could definitely put this bad boy to use installing wheels and fifth-wheel pin boxes on units! This would be an awesome replacement to my corded one. I’m a broke college student trying to get into the craft of woodworking. This would be an amazing tool to help me break into the art. Would love to receive the new impact wrench mainly for working on victaulic fittings and couplings. I owned the high torque impact wrench but my foreman dropped it off a ladder and it hasn’t worked properly since even after fixing it. I need this impact wrench to tap holes, to fasten down anvils with lags, to build a belt grinder. i really need this impact wrench to help me in my day to day work. I would use an impact wrench all the time. from fastening lags to bolting down my belt grinder. I would love love love to give this to my boyfriend! He works so hard every single day, his dad recently passed away and miluakee was his dads favorite brand! This would make him so happy, he means the world to me and deserves it more than anyone I know! As a young aspiring and hobby mechanic and woodworker the batteries and tool would make my work more efficient. More work means more money for the family. I would use it for working on backhoe, driving lag bolts, changing tires on the trailer. I would use it for any task that it needs to be used for on the job site. I need this so bad. My race car just broke down and I’ll need to be in my driveway working on it. No shop space. No compressor. Will help me so much. Plus my dewalt impact just broke. I could use this tool for my shop at my trade school. I’m in the plumbing and heating shop at norwich technical high school in Norwich, CT. We don’t have much for a budget especially with tools. This would be a great addition for us and it would be put to good use. It’d make it easier for us to install fixtures for people and save time and money for customers. I have tools at home, however this will be directly donated towards the plumbing shop. Thanks! Congrats on the IG milestone! 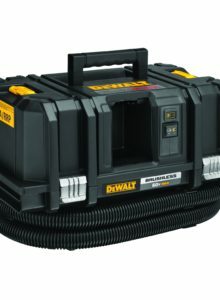 Per rules: I need an impact gun to do home mechanic tasks and would absolutely love adding this compact to my small M18 kit! Plus it would be amazing to win something! This will be great for building and fixing the planter boxes we use at our bar. They’re bolted into the Boardwalk with 6″ lags, and this will make that a snap. I could use this impact gun in my shop at school. This will help me and my classmates install plumbing fixtures and other things with it. It’s very compact and handy. This would also help me and my shop because we don’t have money to spend on tools, especially Milwaukee. I have tools at home, however in shop (i go to a state trade school for plumbing), we could add this to our tools. I need one too. Simply put I don’t have a chord less impact driver. I don’t even own a Milwaukee power tool. This would be a great first for me. I need this to drive lags all day long!! I would use this midtorque driver in my daily routine as a generator technician. This would work great overall with any engine work I complete! I need this to make money!! I need this to replace this old and abused air hose/compressor in my garage that I have to uncover when I need to use my 1/2″ impact. Would make life faster and easier for me. And happier for the Mrs. to see old tools be put away for good! Love your posts, always give me best real reviews on tools. I’m a Milwaukee user, I need a 1/2″ impact in my tool bag. As a recent college grad tools aren’t always in the budget. But as a young maker the builds must go on! Thank you for all your giving back! I could really use this impact to replace my original 3/8 fuel impact. I have been waiting for a tool like this for years. Milwaukee is the best. Carpentry is a new love for me. I’ve recently started working in film building sets and learning from some great older guys at the shop. 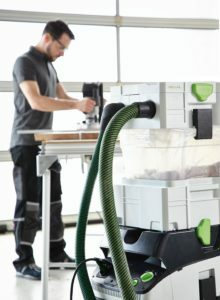 They all use Milwaukee (except for the fancy festool guys 😉 ) and Because my kit is small, this would be incredible for me so I’d have something other than the older stuff I have been buying from the other carpenters. Milwaukee definitely is Nothing but Heavy Duty! Congrats on 65k!!! Need this bad boy for playing NASCAR in the driveway. ?? Would probably also come in handy for deck jobs.?? 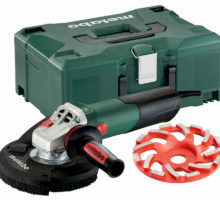 Need this replace my matco impact set since the batteries are discontinued. I need this because we are about to embark on an epic road trip with our trailer would be nice to have for changing tires! Would love to have while build trapezes (pipe racks with all thread and 7/8-1 5/8 strut) also would be great for bolting down equipment and demo work! Sometimes turning a wrench just won’t happen without enough space for real leverage. Would also be great for working on breaks and tire rotations for the whole family ? Need this for deck building and installing commercial racking! Im a young equipment mechanic and im slowly but surly building my tool collection. Im a huge milwaukee and toolpig fan (i just wish i was able to do all the amazing carpentry Paul does!) having the new mid torque impact wrench would speed up my jobs as its smaller than the fullsize fuel and air impact wrench. Follow me @zar.en on instagram thanks for reading!!! I have been looking into a new impact wrench. My old ryobi just isn’t cutting it anymore. I neeeeeed a 1/2″ impact wrench and the midsize is perfect for making a quick task of compressor rebuilds on the fly!! For a guy who’s starting his own business, I think this could definitely come in handy! This would be super awesome for an upcoming deck im doing. Would love to win it! Well, it is time to do the brakes on both cars… I would love to use this guy! I need this so bad cause I constantly work on my truck and am always the one my family calls for help with their cars and this would make those tasks sooo much easier!! I need to know what it feels like to work with Thor’s hammer, to weild Rambo’s machine gun. I need this drill because if John wick was a plumber, this is the drill that he would use. This is not just a drill to me. It’s Americas drill. So I feel that this will be my first cordless impact wrench I’ll buy (or win!) And can forego the hassle of bumming an old one off my buddy.,..I don’t like to loan tools out nor do I like to borrow. I get the mid torque impact wrench for my plumbing and heating work as well as automotive maintenance, I get the best of both worlds… Great choice for a giveaway! This would be my first Milwaukee cordless tool! Would be sweet! Been waiting since last fall when you guys mentioned this coming out! Patiently waiting for the proper middle of the road impact in terms of size and power! My m18 drill just burnt out and I need to purchase a new drill so receiving the 1/2″ impact would make life a lot easier at work and would be one less too I would need to purchase. This impact looks like the best you’ve had on your instagram. I’ve been saving for a quality impact, but but college is expensive! I’ve only been building for a job for 1 1/2 years out of high school, but my old Dewalt drill gun just isn’t the right tool for driving. Im studying mechanical engineering and have a part time job in a local autoshop and doing everything by hand may be a good workout but It is a pain. I bet this milwaukee has way more power than these little arms. I would love this impact wrench to aid me in the work I need to do on my truck! This impact wrench would be great to use when helping my father in his tire garage. Plus it would be great to add some more red to the tool collection. I need this so I can give it to my husband and win ‘best wife award’ ??? Hello, my name is David Mendrin. I’m a 2nd year electrical apprentice doing the street lighting and signal game. Being non union and the company I work for we don’t get provided with tools. As an apprentice making the small dollars you and i both know the price of tools and how expensive it can be. Why could I use a tool like this? From bolting signal arms to poles to lighting poles this is something I can use everyday. Not only would it be a benefit but it would also improve my speed on the job. Not only would I appreciate this tool I could also go further and leave feed back on the tool itself. I’m just a apprentice trying to make that dollar and look for a better future. I currently own only Milwaukee cordless tools and could put this nice piece of art to great use immediately. Thank you and God bless! I forgot to put my instagram name in my last comment. It is ricoflow302. Thanks! I would love this Milwaukee mid-torque impact. I already have the high-torque impact and it’s my favorite tool. But most of the time it’s over-powered for the job. The mid-torque impact would be perfect and still have enough torque for 95% of the jobs I do at 600 foot-pounds of breakaway torque. Milwaukee is by far my favorite tool company and I would LOVE to have the new mid-torque for working on cars and motorcycles. I’m in college for mechanical engineering and would use it all the time. Thanks!! I NEED this because it would be a Toolpig drill! But man what a great pickup this would be! This tool could possibly replace my Dewalt 18v that I use quit regularly for hanging doors. 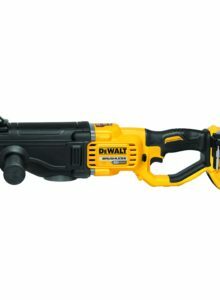 I’ve used the Dewalt 18v impact but it was to big. I already have the Milwaukee heated jacket and adding this would make a juice addition to my small Milwaukee family. I’m primarily a woodworker but could definitely get use out of this tool. It may start me on a new platform as well. Congrats on 65k! I could get lots of use out of instead of going across town to borrow one. You mean from your dad? I actually read it wrong the first time and I was thinking it was Stephen saying that he has to go across town to get his impact inch. ? Need this to complete my Milwaukee arsenal. So many things in heavy elevator repair need the extra torque and size of this beast. Been fitting pipe for 12 years and have sheared more 1/4 x 1/2 inch quick connect drivers than I can count. Would love a compact driver for all my victaulic couplings, building risers, and earth quake braces, that will hold up and not break and takes sockets directly. @thrillaismilla aka super pipe fitter. Would be a great addition for quick mechanical things. I’m ALWAYS trying to torque off some rusty bolts or sink some concrete anchor bolts…..or change a tire…..oh man, I need this thing, I need it so bad I’m going to put a unicorn emoji ? I need one because for one I break alot of [email protected] lol. And you can never have to many tools ! The End ??? 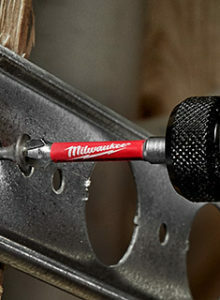 I definitely need this amazing tool from Milwaukee. I plan to start my own business here shortly and this would be a tremendous help. I’m a welder/fabricator. Thanks again for always raising the bar. I would like to win this impact wrench because I am a diesel mechanic and my 3/8″ snap on electric impact is no longer cutting it and I do not always have access to compressed air for my 1/2″ impact. I need this because im tired of using a socket adapter with my impact all the time. And this would be really nice to have. I need this because I use torque wrenches regularly at work and this would fit nicely in my bags. 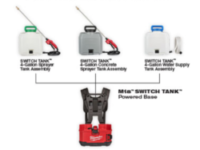 It would also come in handy wrenching on the diesel plus who doesn’t want to build onto their current milwaukee collection? This mid size would fit perfect between my 1/2″ compact and 1/2″ high torque impacts! But seriously, the combination of being compact with tons of torque would no doubt make this the most used impact on the farm. My Milwaukee 12 volt just died earlier this week. This would make my decision of what to get next very easy!!! I would love to have one of these to keep up on work on my truck! ? This would be a perfect first impact wrench to own, for when I’m working on my families cars or when I am working at my job. Would love to add this to my Milwaukee arsenal. I need one of these for pulling cover bolts on backflow preventers! Heard good things about this impact. Would love to win it ? Congrats ! I need this for working on my 2006 Mustang. I need this so my wife can start doing all the maintenance on the trucks. This would be perfect for me in my line of work with road calls and not always having access to air. I have the high torque version but sometime it’s too much power and too big. I also have the m12 3/8 but it’s only good for very light work. As beginning my industrial HVAC service technician career this tool will help me perform various tasks as well as help in the garage and while I am out off roading. I need this because my high torque m18 is shitting the bed right now and with my wife in school I don’t have the money for a new one. Would be greatly appreciated. I started working with a deck builder and we are constantly driving timber tek screws and lag bolts, this would really help save our impact drivers. 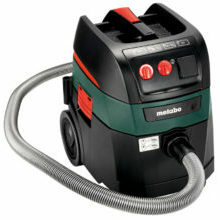 With the amount of use (and abuse) my Bosch impact has seen, it would be amazing to upgrade to this beast! This would have come in handy so many times just in the past week. I went from having to quickly sister up a joist that had termite damage with some lags, to having to pull a tire on my truck a few hours later. Although they are not really in the same class, my porter cable impact went down last week after being over worked installing drywall. I can think of so many other times that this impact would have helped me out as well! We were just about to buy the larger fuel impact for sill plate bolts but then Milwaukee comes out with this bad boy! It would be used mostly for the sill plate bolts but also the occasional flat tire change on the trailer and other on the go and job site applications. We haven’t gotten into the larger cordless impacts and this would be a great start! Our instagram is @pabich_homes and congrats on 65k by the way!! 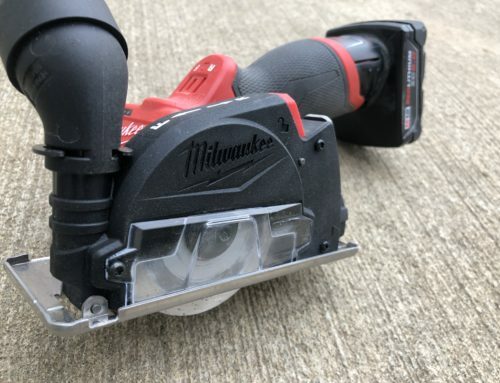 I really need this Milwaukee M18 impact since I had to throw away my cheap Harbor Freight impact that was useless. I need a good quality tool to add to my toolbox as I am a Milwaukee fan. This tool would make rusted bolts, lug nuts, and so many other things easier for me! This would be a perfect big brother to my 1/4 hex impact driver. I would use it to drive lags mostly while framing decks. Thanks man! Appreciate the support?? I really need this impact because I have lots of vehicles & toys on the road. I’m old, weak and tired , if I had this Milwaukee impact I wouldn’t have to borrow my son’s Milwaukee impact all the time. That would make him happy and that’s what it’s all about. I need this wrench to accompany my m18 Milwaukee set, plus using an impact driver bolts isn’t the best!!!!! I could use an impact wrench to tighten up some bolts and around the garage on my 4-wheeler. Can’t wait to try one out! Hey Paul! I would really appreciate this drill because I am an aspiring carpenter who is almost out of Highschool and my budget for buying tools is pretty limited. 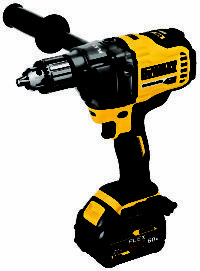 The current drill I have at the moment is pretty bad quality and I will be in need of a new drill in the near future. Good luck to everyone entering the giveaway! I want to win a Milwaukee screwdriver because I like to build and do carpentry. I’m a student so I can not afford to buy tools for professionals. I really need a hefty screwdriver from Milwaukee! I need this because I’m an up and coming contractor that is way to broke to be buying tools that are needed. Hook a brother up. I need this for my next dunes trip! This would be so useful in my business. I do custom framing, exposed beam work, timber framing, pergolas, colonnades. It is also perfect for camping with a truck and RV. There’s almost always a flat tire or some issue! I am Milwaukee through and through. I love all their tools. I even switched to Milwaukee from Hilti. I have their blower, impacts, drills, lights, saws, batteries, multi charger, misc hand tools, etc. And I am your spiritual brother ? This thing would be great for automotive work where the high torque is too big, and where the compact just doesn’t have enough power. I NEED this impact because I use a similar one all of the time working on my project car and my buddy wants it back. Also not in a financial situation to buy one worth buying like this! 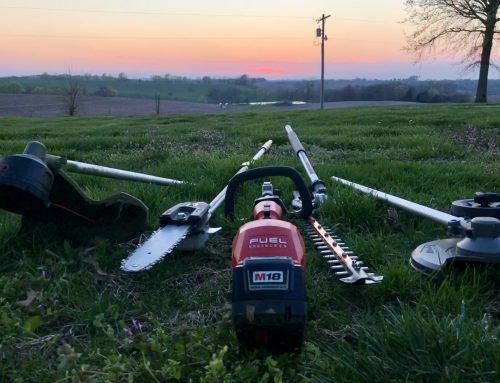 I have been wanting to get into the Milwaukee line for a while now and I would love to win this, because it would help me work on my truck and get some other things accomplished. I need this mid tourque wrench because I’m switching from HVAC install, to HVAC service. I’m learning in school there are many, many bolts and nuts that need to be busted loose or fastened in that side of the trade. This would be a huge benefit for my career switch. ? I need more everything Milwaukee. Especially at home, where all my old tools live. I need pro stuff at home so I don’t look like a rank amateur in front of the neighbors ? This would be my first impact tool. It would scratch an itch I’ve had for a while. Hi, congrats on 65k milestone! Next one is ? k ? I need this because it’s red, fuel and cool ? Actually as diy guy i need it for many home imprevemnt, car fix etc! Torque can’t be enough! 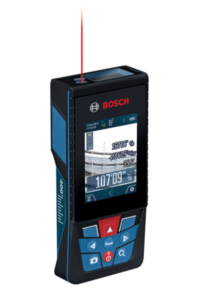 I have just got my HVAC degree and I’m just starting off on my journey into the trades and it would be awesome to have this tool as one of the first tools in my toolbox. I can never get any frozen bolts loose or drive lags with my regular makita 1/4 impact. It’s so slow when it comes to driving lags. This would up my game ? Would love this for home auto work for myself and friends projects! Find my self doing a lot of auto repair for friends of friends now could be useful. I love building things and can’t always afford to buy nice cordless tools. With that being said, it is often that I’m broke because I believe having the right tools to do a job is worth every penny. I work in commercial construction and also build modular building where torquing requirements are stringent. This would save me a lot of man hours and headache, when there’s no power on-site and I have to wrench down 100 and sum odd bolts and have to haul a generator. So if you choose to me for the win, it would not only be appreciated but it would be put to very good use. Thanks. Thanks toolpig for the great news. my current impactor has a few problems to take off lugs from my truck, trailer and even sometimes from the car. this compact, powerful wrench will definitely solve the problem. Large 5.0 battery will give you a good amount of runtime. When your in your early 20’s, kinda broke and trying to start doing your own carpentry work, any tools are important. Plus I used one these working on a new KH build in upstate new york and it’s pretty sweet. Milwaukee keeps it real with all these cordless drivers. I love all the m18 tools and this would be a great addition to my family. Awesome giveaway Paul! I’d use this for driving 1/2 inch nuts that I seem to always spec on my outdoor carpentry builds. I currently use my FUEL 1/4 inch impact driver with a 1/4 to 1/2 socket adapter. I need this to tear apart semi hermetic compressors instead of using my breaker bar. I need this because I’m an up and coming handy man who is also going to school. I need the money from the jobs I work to pay for school and I need an upgrade, this would really do it for me and make my life so much easier. Me and my dad restore old cars and this world work perfect when the high torque impact is just to big! 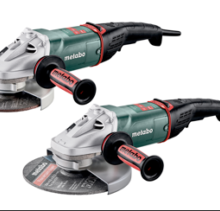 I need this so that i can cut the cord get away from using corded impact wrench go cordless while installing ledger boards for decks plus being able to use it for working on vehicles in my spare time… This would fit well with my other m18 tools milwauker addicted! Whoooo! I need this because I’m a struggling third year electrical apprentice and all I use is Milwaukee! I work around a lot of high voltage panels and switches where the lugs are always seized and difficult to take apart. On the weekend during winter and summer seasons I work on Saturdays and Sundays at my grandfathers tire shop putting on and taking off winter and summer tires and this would also help largely with that! 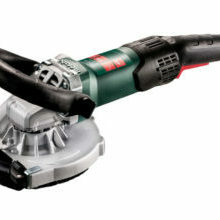 I would love to have this considering I don’t have a cordless 1/2 impact it would fit nice in my tool box!!! I need this to work on my heap. I mean Jeep! Would be awesome for trail repairs. Thanks toolpig. I need this to prove toy buddy that we need a cordless impact in the work trailer. He thinks I’m crazy, I know I’m right. Omg this would make my life so much more easier at work! I could use this on the bolts for shurjoint/victaulic and to bang in inserts to hang all my pipe as well! Oh man I would love this tool!!! 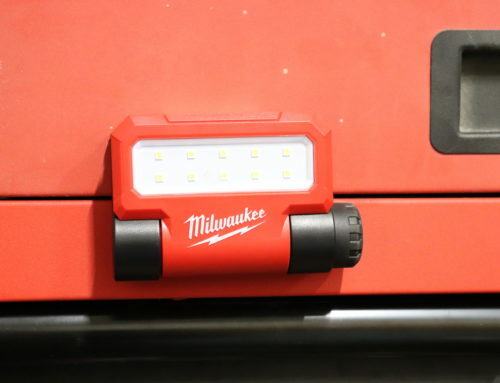 I would love to have this because I don’t have a Milwaukee impact at all yet and if you say it is a home run then I believe it’s a good tool to have. I need this impact because the high torque Snap On we have is sometimes too much and very heavy to work with. Having almost the complete Milwaukee lineup already in the shop, this impact will perfectly fill the gap. I need this to add to my collection of Milwaukee tools! I only buy Milwaukee, nothing but heavy duty is the motto I live by. This would help with everything I do from automotive to ductile pipe when plumbing! I need this because I don’t have any cordless 1/2 impact yet! Would be a real time saver working on my trucks! I need one of these not only to help with my work of building steel buildings, but also to help with repair work of my poor neglected truck… I don’t even have an air compressor that can push a pneumatic impact string enough to break lug nuts(nor do college dorms and apartments let you run loud compressors haha)… I would also very much enjoy getting into the Milwaukee fuel line up, I feel that in winning this it would help push me to buy quality tools!! I really need one of these mid torque impact wrenches! I’ve been stranded on side of road with flats and sometimes the cross wrench cannot take off lug nuts. 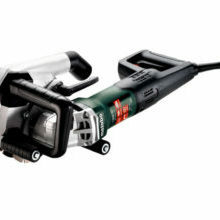 I would love one of these Milwaukee Torque gun because I have many uses for this item. I would love to use on to remove and installed items on HMMWV , HMMTT, HETs, M915s, LTAS and of course MTVs. Yes, I work in the military and it would make perfect sense to have the best tools. On the market. Need one of these bad boys to change my summer/winter tires easier! Also be a handy tool for lags for decks. Mostly just another red tool for my arsenal! I would love to have this Impact. I am 19 years old and new to construction. I work in commercial building mainly. We are constantly using LDT’s’, sleeve anchor bolts, steel connections bolts and much more. Having one of my own would help out me and my company alot. Thanks! I need this for use with larger bolts/sockets that my 3/8″ compact either can’t loosen or they don’t offer the socket size in 3/8″. I’ve been debating saving up for the high torque model but keep coming back to it being used very infrequently due to size and weight. I would like to have this for working on my quad, I drive a polaris so I would use it a lot! I need this so i wont be tied to a cord when im using mine! Im an automotive student working towards a bachelors in automotive technology and management. 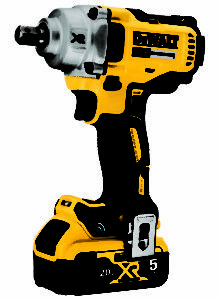 I own the m18 fuel 3/8 impact because its cheaper than investing in a big compressor with pneumatic tools. 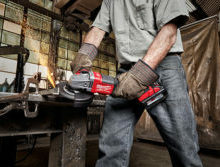 Working with cordless impacts are amazing i love them but my 3/8 impact struggles on rusted on lugs and this would help get throught anything that comes my way. On top of the increase in power and cordless nature of this tool who dosent like owning a tool made by Milwaukee they make the best tools!! I need this tool for custom home building #toolpig ? I need on because I work in industrial HVAC and this would make securing units to the ceiling a breeze. Would also help me around the house as I fix cars on the side. ?? I need this to up my shade tree mechanic game! I could really use this at both work and home. Looks like the perfect mix between industrial tough and compactness for my tool shed. This would make a great addition to my M18 drill/driver set. I need this because i don’ t have it yet! LOL Can’t believe how compact it is. Would love to add this into my M18 arsenal, having a smaller yet still powerful gun would make automotive work much easier on my wrists than running the full size! I would love to have an impact stronger than my compact and lighter than the high torque boat anchor. This looks perfect for repairs and maintenance on my truck! This impact wrench would be absolutely killer for putting in big lag bolts. It’d make life so much easier. I need this tool so I can stop hearing my guys complain that the impact is so heavy………wimps! This thing would be sweet for automotive work where the high torque is too big! I need one of these to fill the gap between my M18 3/8″ impact wrench and my M18 1/2″ high torque impact wrench. I’m using more and more 1/2″ sockets and the high torque with anything other than a slim pack is killing my arms. The mid torque would be my go to impact for 90% of my work. I have been wanting a mid range torque wrench for some time. This would be perfect for around the garage.